Music is a fundamental part of Bonics’ genetic composition, and it is intrinsic to the local culture of Philadelphia, the city in which he was raised. When he was growing up there in the 80’s and 90’s, the music scene was fuelled by local radio. By his second semester at Pitt, Bonics was able to convince his father to buy him the beginner’s “DJ-in-a-Box” kit. From then on, his education became as much about music as academics. He switched his major from information sciences to communications and sought a position at 92.1 WPTS, Pitt’s student radio. Although the radio station turned down his first application, Bonics didn’t give up. They ended up bringing him on, a year he submitted his first application, to do his own underground hip-hop show. By the time he graduated, he was a major contributor to the WPTS organization, holding the positions of hip hop director, program director, and station manager throughout his three-year career there. Bonics didn’t limit his search for opportunities to only on-campus options. Early in his college career, he landed an internship at 106.7 WAMO, the country’s very first urban radio station, and he was able to parlay the internship into a part-time job that he held until he graduated. During his time there, Bonics was indoctrinated into the world of commercial radio, learning the ins-and-outs of programming, production, On-Air, board operation, promotions, and, of course, mixing for the radio. 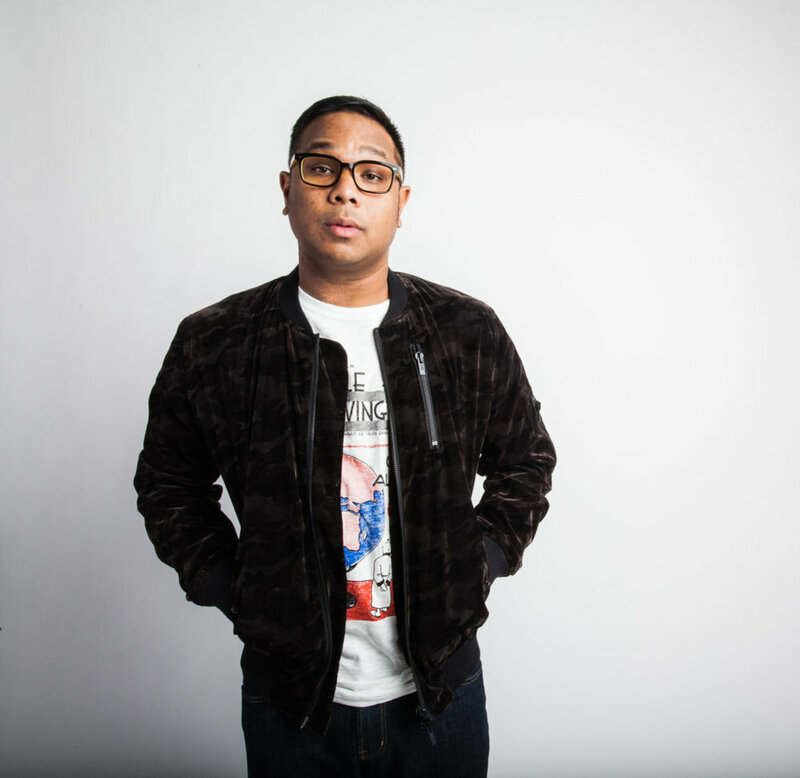 As important as radio and school were to Bonics, he also wanted to participate in the Pittsburgh music community at large. He got started on this goal during the summer of his sophomore year at Pitt and has yet to stop DJ’ing in local clubs and performing with local Pittsburgh talent. “I just made great relationships with the different musicians, trendsetters, promoters, and local legends,” he remembers. Since his start in the scene, Bonics himself has become all of those things at one point or another, maybe even a local legend. Upon graduation, Bonics took a position with Clear Channel Entertainment as an “Alternative Marketing Coordinator.” He was in charge of a street team and tasked with finding new ways of promoting concerts. For two years, Bonics promoted for the national shows that came to town while he continued playing the local venues. Then, in 2004, it all started to come together. Clear Chanel’s 96.1 KISS, hired him to do a part-time mix show for them. It was a great opportunity for him because it combined his radio experience and his ability to do what he was quickly becoming most known for in the ‘Burgh- party rocking. The part-time situation worked out so well that it quickly turned into a full-time position. Bonics became the #1 night show jock in Pittsburgh, consistently beating out his old station, WAMO. Between 2004 and 2007, Bonics became the most well known DJ in Pittsburgh, both on the air and in the club. You might even hear him mixing at Heinz Field or PNC Park. He’s built relationships with the Pittsburgh Steelers, Penguins, Pirates, and Pitt Athletics. Bonics’ produced the current an padt in-stadium mixes both in Consol and Heinz Field and DJ’d and hosted events like the Pittsburgh Steelers Fashion Shows and the 2007 MLB All-star Party. And, since he started co-hosting MYPGHTV’s Saturday Night Feature in 2007, his face became as recognizable as his voice in the city of Pittsburgh. All of these things added up to promotions at KISS where Bonics traded in his night show for a highly sought after afternoon slot, became both the Music and Imaging Director, and began coordinating the mix show schedule for the entire station. The next few years brought even bigger changes to Bonic’s career. He began taking out-of-market gigs, playing in cities such as Tampa, Philadelphia, Las Vegas, and New York. At KISS, he was brushing shoulders with pop music icons, interviewing the likes of Justin Beiber, Lady Gaga, Rhianna, and the Black Eyed Peas. In 2010, he was asked to open up for the Blue Print 3 Tour where he shared the stage with Jay Z and Trey Songs. A little later that year, he beat out seven Pittsburgh DJs and become the Redbull Thre3style Competition regional champion. He went on to represent the ‘Burgh at nationals in Denver, but soon after 1st 3style event the he got ask to represent Pittsburgh in ways he never dreamed were possible. Shortly after the Redbull competition, Bonics was asked to join local rap sensation, Wiz Khalifa, as his official DJ. After seven years at KISS, Bonics left the career that made him a local celebrity to help his friend, Wiz, become an international hip-hop icon. Bonics first jaunt out with Khalifa’s squad, known as the Taylor Gang, was the Waken & Baken Tour, a 56-show tour that covered 26 U.S. states and Canada. The tour sold out 97% of their shows reaching a total of almost 100,000 tickets sold. Just three short months after Bonics joined the team, Wiz’s single Black and Yellow, became a smash hit. The record’s success established Khalifa as a hip-hop superstar. A few days after returning from Waken & Baken, Bonics got the scare of his life at 30 years old. Feeling a strange pressure in his back and chest, he went to the emergency room where tests verified that one of his arteries was 100% blocked. He underwent surgery to stent the blocked artery, and the surgery was successful. Not letting the incident slow him down, Bonics joined Khalifa a few days after his surgery appear with him on BET’s 106 and Park. Bonics is more health conscious now and he continues to fill his karma cup with good vibes by DJ’ing and hosting charity events and leading DJ workshops with kids at the middle, high school, and college levels.